Which new team competes with sabers and flags? The West Bend High Schools competitive winter guard team, which is in its inaugural season, is the answer to that question. This year they have competed against other teams from across the Midwest, earning second place March 30 at the Midwest Championships in La Porte, Indiana. The team has also participated in community events and parades. Winter guard is a highly competitive indoor sport, and is a combination of the use of gymnastics, wooden rifles, flags, sabers and dance. “We have a choreographed show that’s used to convey emotion or make the audience feel something,” East sophomore Annabella Walker said. The 2019 high school show is called “Innerflections,” and the music used is “You Say,” coach Kathy Nienow says. Winter guard is derived from military organizations and drum corps, similar to a traditional marching band’s color guard. However, despite the similar origin, winter guard and color guard are very different activities. Winter guard is a competitive team, performing indoors rather than outdoors, and has a more frequent performance and practice schedule. Color guard will typically have a two-hour practice one night a week starting around May and performs in a couple of performances and parades until December, East senior Melissa Fry said. Winter guard runs roughly from September to May, competing in February and March. 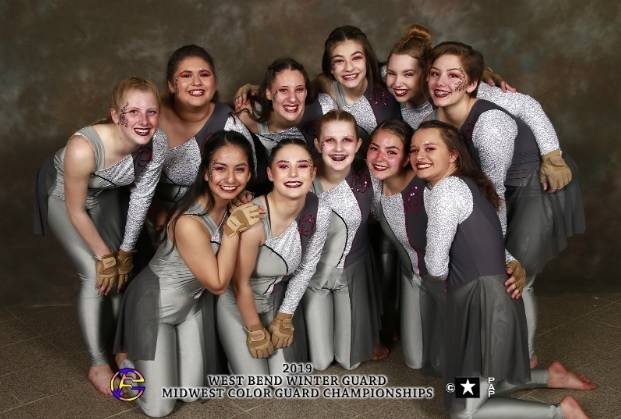 Nienow says the high school winter guard team came to fruition when eighth graders from Badger Middle School were motivated to continue pursuing their passions. The middle school team has existed since the 2013-14 school year. Both teams share a similar competition and practice schedule, along with busses and staff. 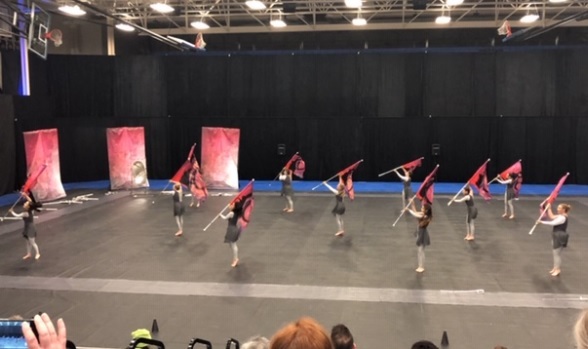 “Because we are self-funded with all volunteer coaches, show designers, and choreographers, we decided to start up this high school competitive winter guard as an extension of our fifth through eighth grade West Bend Scholastic Cadets Winter Guard in that our members could feed into the high school team,” Nienow said. Walker expressed optimism for the future of the program.